Revolutions or coups seeking to change modern Egypt, whether in 1919 or 1952, never challenged the familiar patterns of power relations, that is to say, their political culture. The triumph of a home grown, new political discourse is the real and most significant Egyptian revolution that took place early in 2011. Unexpected and leaderless, Tahrir Square became its central point, where many of its advocates first appeared as a group. Ever since, Tahrir also served as the address of the significant shifts that this vision brings. After their initial shock at the success of the Tahrir demonstrators, the subscribers to Egypt’s old narrative of power recovered ground and began to reassert the authority of the familiar ways of running their country. A war between the old and new ways became inevitable. That summarises the story of Egypt today, where daily battles continue to rage in its streets, workplaces, media, prisons, and even in its morgues. But the usual frames of reference (mostly western) with which we now approach the ‘Middle East’ blur these fast moving events instead of explaining them. Unable to make sense of the dizzying commotion in that country, many outsiders find it confusing. Others dismiss it altogether in the belief that places like Egypt and peoples like the Arabs are not fit for the rule of law and democracy. The frames of reference which see turmoil in Egypt in terms of “Salafi, strict Islam against progressive, moderate Islam,” “secular against the religious,” or even as class or generational wars justify calls such as Tony Blair’s (23 April 2014) speech in which the former British prime minister openly took sides with Egypt’s and other Arab repressive authorities against their Muslim enemies (a call to which many other governments quietly subscribe). True, the business as usual, ill-tempered quarrels of self-described religious and secular parties are sometimes deafening, but the real winner takes all, ferocious war in Egypt is between two camps that do not correspond to the above groupings. In short, the understanding of Blair and experts like him of the nature of “a titanic struggle going on within the region,” as he described it, could not be further from reality. On one side of the Egyptian trenches, subscribers to an old familiar political culture fight to rescue it from the 2011 revolution. They gather under different banners and come from all backgrounds. To this old worldview belong the religious – Muslims and Copts alike – as well as self-described liberals and secularists, businessmen, scientists, women, common folk, rich folk, the old and the young. Outwardly their visions appear to be many: some call for a caliphate, some look for a beloved dictator, others dream of a Marxist-Leninist state, and some secular-liberals want a “shoot those who do not believe in our liberal views” government. Despite their differing views, all such Egyptians draw on the same communal memory that sees an effective authority as one which dictates; a weak government is one that negotiates and seeks to persuade. All of them also learned that to preserve their old ways, they must wrap them in the idiom of modern political ideas. They faithfully pay lip-service to democracy, civil government, women’s rights, and even have their human rights organisations. On the other side of the trenches, also fighting for survival, are subscribers to a nascent new vision, what one might call the Tahrir Square discourse that aims to replace the old ways of negotiating power relations. Although the vocabulary and grammar of this new political language is far from complete, its supporters appear to share a few convictions that would destroy important aspects of the old one. They reject a George Bush/Blair style democracy, which they regard as a charade wedded to occupation and corruption. But they do not only define their aims by what they do not want. They strive for a self-governing society, based on the rule of law and due process, a community in which structural changes take place through peaceful means only. Tahrir advocates especially long for replacing inherited Mamluk-style farming out of the main institutions of government to powerful groups with departments scrutinized by civil groups and accountable to an elected coherent government. These Tahrir advocates also include all shades of the religious among their country’s Muslims and Christians as well as secularists and liberals, women, the common folk, the rich folk, the old and the young. The nature of this “titanic” domestic war has become clearer to many Egyptians, even if outsiders struggle to describe it. As one endorsing the Tahrir Square discourse put it in a recent tweet: “there are no liberals, or nationalists against Islamists.” They (subscribers to the old discourse) all belong to the same camp – only some are dressed in stripes and the others in plaids. Egyptian tweeters regularly note how a year ago Morsi’s supporters urged him to violently crush those who opposed him and now, mirroring their ways, Sisi’s supporters urge him to do the same. These Egyptians fill YouTube with clips showing how when the Muslim Brotherhood governed (June 2012-June 2013), its Islamist backers sided with the army and police when they violently abused civil rights’ activists – just as the liberals and seculars now side with the army and police as they stamp out civil rights’ activists. Their clips also reveal how the devout (Muslim and Coptic) supporters of the former army intelligence chief, field Marshal Abdel Fattah El Sisi, differ very little from the devout supporters of Morsi. Even now, as victims of repression, Morsi’s supporters show little sympathy for activists outside their party who have been killed or imprisoned for defending the Muslim Brothers’ rights, because in the past the same people criticized the Brotherhood’s corrupt political culture. To depict this reality, cartoons and pictures posted daily in media sites poke fun at the identical set ups headed by Mubarak, Morsi, and Sisi, seeing in them all different faces of the same deformed political coin. Central to the familiar political culture is the conviction that violence is the only effective political tool. Many Egyptians applauded when a court in Upper Egypt (Minya) sentenced 683 to death on April 28, the same day that another court outlawed the April 6, a movement for peaceful change to a civil state which spearheaded the January 2011 Revolution. A month earlier another 529 Muslim Brotherhood supporters were sentenced to death (24 March 2014), charging them all with the murder of one policeman and injuring two others. A member of the committee that drafted Egypt’s new constitution, a professor of comparative fiqh at al-Azhar University, and recipient of book prizes on topics that range from human rights to medicine, Dr. Saad al-Din al-Hilali urged the state to carry out the executions immediately, without the right of appeal. Seen through the lens of the familiar political culture, nothing in this verdict or this scholar’s views appeared irregular. Their lens is neither secular nor Islamic; it belongs to a particular political culture. In August 2013 an article in al-Masry al-Youm included observations of a journalist watching a procession of corpses leave a hospital at the time that the army disbanded the Rabaa mosque Muslim Brothers sit-in. In the blood stained corridor a hijab covered woman rushed to the army officer in charge of the security of this hospital. She warmly shook his hand, “Well done…May God grant you victory over them,” the devout woman said. Earlier this year, in lower Egypt, the University of Banha banned a young woman medical student from taking her exams because she wore a shirt with a Rabaa sit-in symbol. She was lucky. Many others are arrested, tortured, and some serve prison sentences for similarly curious crimes, such as holding balloons that had Rabaa’s symbol or applying for a permit to demonstrate. On May 1, Sarah Khaled, also a medical student, was sent to prison for two and half years for wearing a pin bearing the Rabaa symbol. ‘Islamic terrorism’ is always the automatic charge. But when a young man was thus accused he protested that he was a Christian, according to his father. It mattered little; the Coptic youth was instead charged with being a member of the peaceful, secular April 6 movement for a change. Many in Egypt cheer such measures, including the liberal and secular newspaper editors previously the darlings of human rights international groups. But it is not only editors, judges, and policemen. Many artists, actors, and writers welcome restrictions of freedom of speech and arbitrary arrests. Suhair al-Babli, a famous and talented actress even called for “a Hitler-like strong figure” to save her country. Like millions of her fellow countrymen and women, the actress did not understand why her statement unsettled the Egyptians who now embrace the Tahrir Square worldview. For the cultural memory that this actress shares with the liberal and secular editors as well as with many devout Muslims and Christians, this memory knows only coercion, whether verbal or physical, as the instrument of communal order. This well entrenched memory has official endorsements. Late last year, Reem Saad, a woman professor of Anthropology, writer, and director of documentaries, highlighted some of the roots to the demands to execute all Muslim Brothers; why the self-described seculars and religious advocates of this carnage regard it as a necessary cleansing process. Saad dug up a 2008 article by a now influential spokesman for the current army-controlled government. In it, Ahmed Muslimani expressed “respect” for the 1811 massacre of 450 Mamluks that enabled Mohammed Ali Pasha to establish his dynasty. Muslimani who called for a revived interest in history, explained that condemning that massacre as an act of deception and murder manifested “a primitive human sentiment.” Instead, he thought it “a wonderful crime”, which must inform his country’s political roadmap. The subscribers to the Tahrir Square political culture have raised storm after storm against such “wonderful crimes” and views of their heritage at the time that western governments prefer to look the other way. Although they appear now to stand alone, they continue to resist because, in contrast to the grand, top-down ambitions of the secularist nationalist or Islamist outlooks, the Tahrir Square advocates strive for gradual, bottom-up structural reforms. In February this year, Israa Abdel Fattah, a Muslim woman from the April 6 Movement and Alfred Raouf, a Christian Copt, together explained to their fellow countrymen the long-haul vision of their 2011 Revolution. Like others who now embrace their discourse, Alfred, Israa, or Reem find themselves today fighting tooth and nail to save from annihilation this home-grown, peaceful vision of change to a self-governing society under the rule of law. Their diversity confuses instead of inspires outsiders. What to make of a woman in hijab and a Christian man dreaming of a joint communal political culture that many others celebrate? Yet, it is vocal Muslims and Copts who spearhead this Tahrir discourse, as they stand up almost daily to vocal Muslims and Copts from the old camp. Of all the terms experts use to describe a “rigid, violent, and evil Islam” – Salafi – must take the prize. However, realities in Egypt make it irrelevant. Salafi figures speak the Tahrir discourse, believing in peaceful change, civil representative government, and due process of law. Other Salafi figures adhere to the old discourse, sharing with their secularist, liberals, and nationalist fellow-countrymen the belief that legitimacy originates in coercive force. 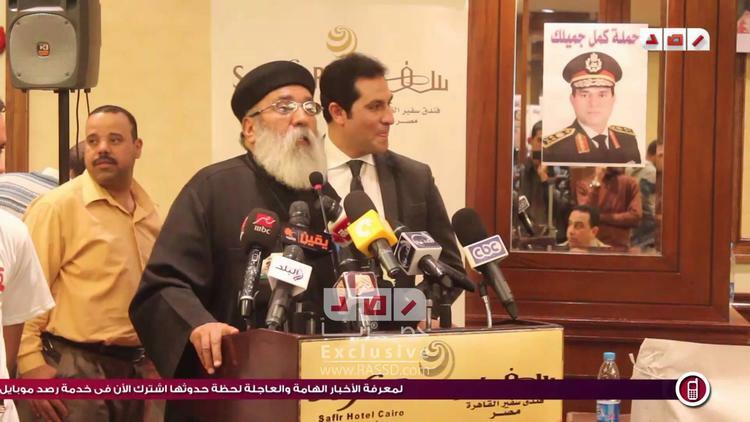 High among the now recognized names associated with the nascent new discourse is a former spokesman of Al Nour, the largest Salafi (strict Islamist) political party in Egypt. A scholar of Islam and a dentist, the late Mohamed Yousri Salama quit his Al Nour post when he judged its leadership to be deeply loyal to the coercive old narrative. He believed that only a civil party could deliver his country from its repressive practices and realize Salafi ideals. Days before he unexpectedly died in 2013, Salama tweeted: “Not giving up hope despite all ….our revolution continues, it will triumph despite all its enemies…”. In holding these views Salama is not alone. Early this year (30 January 2014) another such Salafi, also from Alexandria, tweeted “Our position is unchangeable: against any repressive authority.” This new breed of Salafis opposes the other Salafi and Ikhwan views of governance as much as they oppose the similarly repressive ways of their country’s liberals and seculars. But it is not only Salafis. Many of Egypt’s other practicing Muslims have joined the new camp. Among them Egyptians now recognize names such as Ahmed Samir, Abd al-Rahman Yusuf, or Ahmed Douma. Although having identical religious beliefs, these Muslims spearheaded the protests against the Brotherhood’s government as much as they now oppose the seemingly secular, army-controlled state. In doing so Ahmed Douma stood against his father, a committed Brotherhood member. Morsi’s government incarcerated Douma for poking fun at the President. But so did Sisi’s state; it sentenced him to prison for demonstrating. Today, this spirited symbol of 2011 Tahrir Square languishes in prison, yet again. Advocating democratic, peaceful reforms, Abd al-Raham also stood against his pro-Ikhwan father, Shaykh Yusuf al-Qaradawi. In the early summer of 2013, as the world-famous Qaradawi urged Muslims to fight the enemies of Islam who opposed the Muslim Brotherhood government, his son published an open letter to record his experience of the inept, undemocratic, and outdated practices of the Muslim Brothers. Today Abd al-Rahman equally opposes the repressive government that ousted the Brotherhood. To discredit him, the police published its secretly recorded telephone conversations of his romantic exchanges. Christians who converse in the Tahrir Square language also turn their back on the political wisdom of their patriarchs. In January this year (2014) Evronia Azer, an activist from Alexandria wrote an open letter to the Coptic Pope when he endorsed army-led rule. Yes, Copts must actively participate in affecting changes as to how their country is run, she thought, but Evronia objected to her Church dictating Christian political choices (pro-army and anti Muslim Brothers). Being a man of God, “why not pray publicly for the Muslim Brotherhood in the spirit of love thine enemies?” she asked the pontiff. Like their Muslim Tahrir Square discourse friends, now many such Christian Egyptians do not hesitate to publicly ridicule their clergy. In so doing, the devout of the Tahrir discourse have created a crisis in Egypt’s religious institutions – mostly unintentionally. This under reported crisis could mark a rearrangement of the country’s cultural make-up. One thing is for sure, however, as many of these Egyptians now see it, their religious establishments, Muslim and Christian, wholeheartedly subscribe to the old political culture, including the vengeful and ill-tempered approaches to attempts for peaceful change. Tahrir’s is not a ‘religious’ discourse, however, at least not in the western sense. Populating its landscape are also outspoken liberals and secularists. They include writers, artists, professors, as well as common folks from every walk of life. They too create a crisis for the liberal secular intelligentsia in their region—and not only in their country. Take the example of a cartoonist who champions state violence. This seeming liberal severed his long-term and very successful working partnership with the columnist and scenarist Bilal Fadl because the latter emerged as spokesman of the new political culture. The famous novelist Alaa al-Aswani often writes to defend this new discourse from both the religious and liberal seculars of his country. But perhaps the April 6 movement for peaceful, democratic change best encapsulates the diversity and convictions of this emerging culture as well as its problems. It also attracts a great deal of anger. During the tenure of President’s Morsi’s government, April 6 was condemned as a secular group that aimed to replace Islam with the devil, and given the nickname, the 6 Iblis movement. Today the old political culture’s seculars and liberals accept the recent ban on the movement. Its leaders, Ahmed Maher and Mohamed Adel serve prison sentences for their activism; they are now described as ‘sleeping cells’ of the Muslim Brotherhood. Perhaps Bassem Youssef, a surgeon turned comedian, best encapsulates the deadly fight taking place in Egypt now between two world views in which religion and secular labels become irrelevant. The substance of his TV programme, articles and, just as importantly, reactions to his Tahrir Square humour provide a collage of the layers of Egypt’s present reality. When he ridiculed President Morsi, the Muslim Brothers and their Islamist allies hurled shockingly lewd abuse at Youssef. But it was far from being a case of a liberal comedian poking fun at the devout. Youssef hosted the late Mohammed Yousri Salama (above mentioned) a leading Salafi figure in his famous TV programme, al-Bernameg and wrote to celebrate his life when the latter died. The secular, liberal Youssef and the Salafi Salama stand on the same side of Egypt’s trenches against the old political culture. Consequently, as soon as the secular-oriented army ousted the religious-oriented Morsi from power, the verbal violence against Youssef exploded into a storm of abuse instead of subsiding. Now self-described liberals, seculars, nationalists, join the Islamists who share their political culture, to threaten the comedian. A YouTube clip of a protest against the comedian shows a woman in her late 40s wearing a hijab cursing Youssef for daring to allude in his show to the great deliverer of her country, field marshal Sisi. A famous, secular lawyer similarly insulted Youssef for exactly the same reason, describing the comedian as a cockroach that must be crushed like one. Entrenched in Egypt’s traditional political landscape is a sense of siege, a conviction of being constantly encircled by conspiracies that necessitate exceptional measures. Even a Sorbonne educated lawyer, Mohamed Hammouda believes that the January 2011 Egyptian Arab Spring was a plot hatched by Israel, the US, and Qatar, according to an interview published in Egypt’s Daily News. Seeing reality in such terms is not only a residue of historical memory. It has mutated into an epistemological stance, a community’s theory of knowledge, which is increasingly visible now, as this culture defends itself against the Tahrir Square threat. Consequently, by May 2014 political life appears ever more like a farce, a dark Egyptian comedy. Former army chief and contender for the presidency often weeps out of love in his public encounters, scores of the country’s intelligentsia defend the genius of an army invention to detect and cure the Aids virus, key political decisions are based on what people read into their dreams, Copts are charged as Muslim terrorists, a blind man is charged with being a sniper, and many a childhood is being spent in prison on political charges. How to explain that the world around them marks the central break between the old and new warring narratives in Egypt? It manifests itself in such approaches to faith and also to the past. A cornerstone in the country’s competing outlooks today is about how to read Egypt’s history and what to do with the result. Using yesterday to manage today creates a great distance between the two warring discourses in Egypt. The familiar old worldview has frequently drawn clumsily on the past to legitimize its outlook. Its approaches to history allow the state, its ministers, regional governors, judges, businessmen, and common folk to make regular raids on Egypt’s invaluable historical treasures, as private or commercial property, as commodities essentially meant for sale, not communal heritage. To illustrate, their argument that ‘the living must come first’ allows for the demolition of precious sites in favour of housing estates and shopping malls. So far, Egypt appears to be lucky as its professors, lawyers, architects, students, or the common folk who embrace the Tahrir-discourse struggle, almost daily, fight to save the material and intellectual riches of their past as a way of saving the future of their country. Despite the everyday destruction of its heritage, new heroes emerge to deliver Egypt from its amnesia. Monica Hanna leads the charge to save the archeological sites and artifacts of her country’s amazing past. Khaled Fahmy brilliantly leads the charge to set the record straight: the analyses and documentation of modern Egyptian history. With every main development, Fahmy probes its background and meanings, in Arabic, English and recently even in colloquial Egyptian – that is in street dialect, in the hope that as many of his countrymen as possible will take what he says under consideration. Here too, the usual terms of reference, such as religious versus secular or Muslim versus Christian do not help. Advocates of the old discourse from all backgrounds ignore most of their country’s multi-layered history in favour of narrow, mostly inaccurate views of the past. In contrast, when recent government measures threatened the site of the first Muslim seat of government in Egypt, Fustat, it was Monica Hanna and Alfred Raouf that first acted, retweeting a call to save one of their country’s important capitals. It is impossible to predict what will become of this Tahrir Square discourse, which now faces an onslaught on all fronts. Will the numbers of its advocates shrink into insignificance? Will their ideas mutate to match acceptable patterns of power relations, that is to say, their old political culture? Seeing the war that is taking place now in Egypt for what it is, instead of obscuring it, may begin to even up the playing field, perhaps. Haifaa G Khalafallah is director of the UK based Sinai Centre for Islamic Mediterreanan Studies (SCIMS).